PARIS (Reuters) - U.S. hedge fund P. Schoenfeld Asset Management (PSAM) will stop short of seeking to replace the board of Vivendi at an April 17 shareholders' meeting, despite opposing the French media group's stance on shareholder returns. "We are not planning to try to put any new directors on the agenda," Peter Schoenfeld told Reuters in an interview. "We have no plans in that respect at all." Schoenfeld and Vivendi have been at odds since March 23, when the fund called for an increase to the company's planned payout to shareholders from a 35 billion euro ($38 billion) cash pile amassed from a series of disposals. 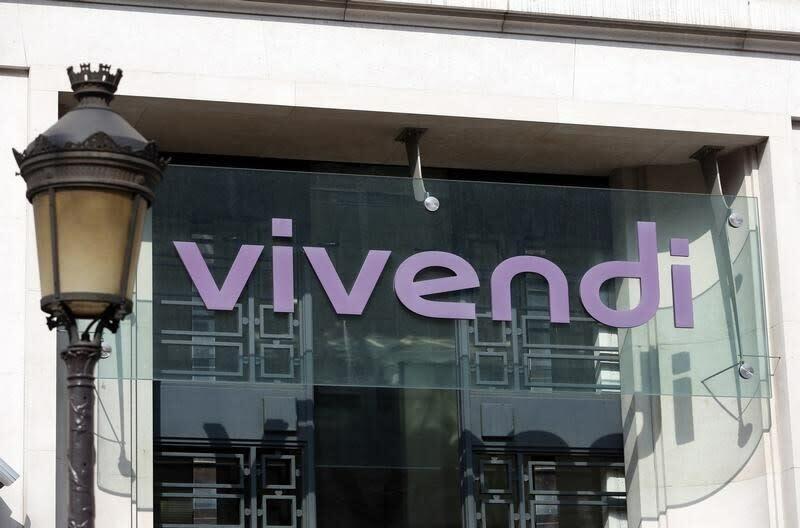 Some at Vivendi had been concerned that Schoenfeld might submit a resolution to unseat the 14 member board during the meeting, which would be allowed under French law, said a source familiar with the matter. PSAM, which says it owns 0.8 percent of Vivendi, has submitted two resolutions for the meeting that call for Vivendi to return 9 billion euros to shareholders instead of the 5.7 billion the group has pledged through 2017. But the fight is over more than cash; it is about the future of the 162-year old company, now it is under the sway of one-time corporate raider Vincent Bollore. At issue is how the group spends the proceeds from the asset sales, its strategy, and how much power Bollore should have versus other shareholders. Bollore has been chairman since mid-2013 and is also the biggest shareholder. Via his family company Bollore Group he has been buying shares to help see off the activist challenge, taking his stake to 12 percent from 5.15 percent a month ago. Vivendi says shareholders should vote against PSAM's resolutions, arguing the group needs flexibility to rebuild itself as a stronger media group. Shareholder advisory firms ISS and Glass Lewis have recommended votes against the PSAM resolutions, while also raising concerns about the group's governance and lack of clarity on strategy. In addition to PSAM's resolutions, a fund called PhiTrust wants to prevent Vivendi from putting in place double voting rights for holders who own shares for more than two years. A new French law allows double rights for long-term holders at listed companies unless expressly changed in the bylaws. At Vivendi, the law would solidify Bollore's control, eventually giving him close to a blocking minority. Glass Lewis has recommended holders vote for the PhiTrust proposal to prevent such a scenario. In a disclosure to the French markets authority on Thursday, Bollore said he planned to keep buying shares and may seek additional board representation. Vivendi declined comment. Vivendi shares are up 4.9 percent since PSAM began its campaign, against a 1.2 percent sector decline.